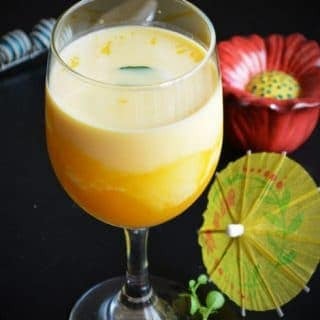 Mango Milkshake Recipe, very tasty, healthy and easy to make. The ingredients required for this recipe are very few that are easily available in every home. Do you wish to know what the king of fruits of India? Yeah, you guessed it right! It’s none other than Mango. Mango milkshake is creamy and yummy. A healthy and nutritious recipe can be made in few minutes. The experience of eating the fresh mango is incomparable to any other form of consuming it. Holding fresh mango’s half, scooping it with a spoon and enjoying every bite is an exciting feeling. ‘Panganapalli’ ‘Kasalattu’ are varieties you should try to believe my statement. On the season of mango months, we have mangoes for all the courses, can be for a snacking time, can be for side dishes for rice. But we do not get these varieties fo mangoes here, so we left only with the choices of using canned mango pulp. Though it does not give the pleasure of eating fresh fruit, still it provides all the goodness and the flavor of the fruit. 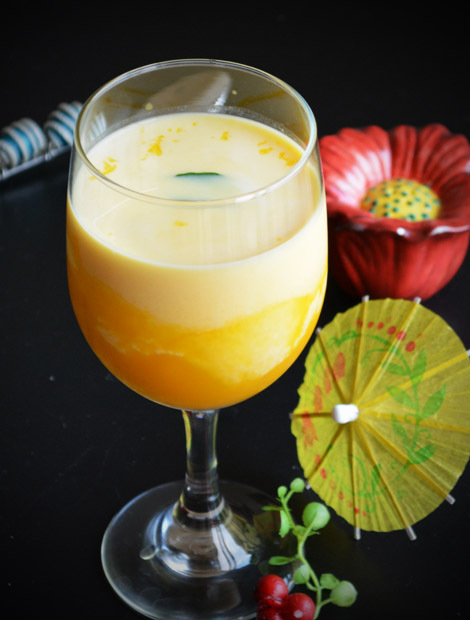 This mango smoothie is the best way of consuming canned mango pulp. I did not add any extra sugar, as I feel pulp is loaded with sweetness. but if you wish you can add it. If you are searching for other milkshake recipes, then you may look into Kiwi Milkshake, Dragon Fruit Milkshake, Banana Milk Shake, Kiwi Lemonade Popsicle. 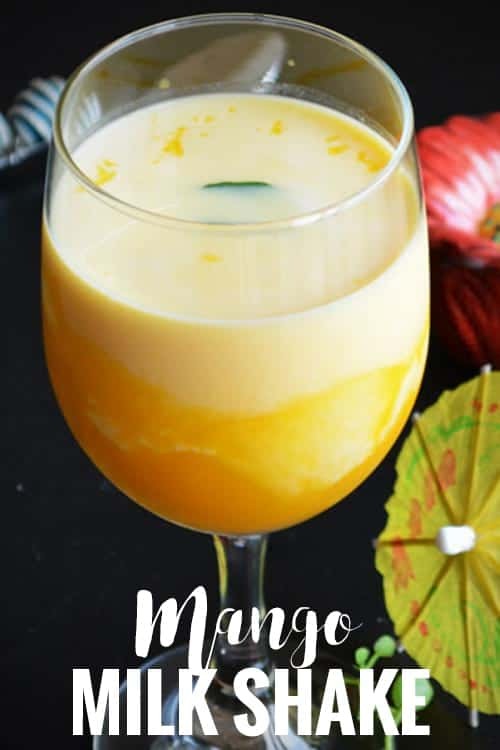 Mango Milkshake Recipe, made with canned mango pulp and almond milk. A perfect summer drink for everyone. It tastes yummy even without adding ice cream. This delicious summer drink is easy, simple and quick to make. In a blender, add all the ingredients. Whisk it until they blend well and forms a smooth, silky drink. Adjust sugar and milk according to your choice and according to the thickness, you prefer. Add ice cubes and serve Mango Milkshake chilled. If you are planning to serve for a party. Make them and store in a refrigerator for about 4-6 hours. Add a scoop of ice cream to make it more rich and creamy. No need to add any artificial colors or flavors, as mango is very rich in color and flavor.